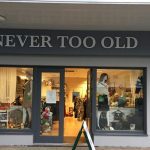 Posted March 31, 2017 by Josette Farrell in News. 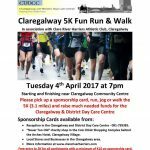 THE Claregalway 5K Fun Run/Walk organized by Clare River Harriers takes place on Tuesday next April 4. It starts at 7pm and the entry fee is €10 with proceeds going towards the Claregalway & District Day Care Centre. 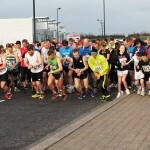 There is late registration on the evening of the run from 5.30 t 6.45 or you can enter online at www.active.com. 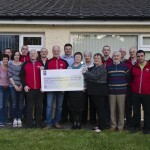 Claregalway & District Day Care Centre are using the 5K to raise much needed sponsorship. Please pick up a sponsorship card, run, jog or walk the 5K (3.1 miles). 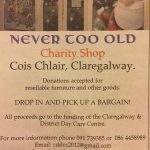 Sponsorship cards are available from reception in the Claregalway & District Day Care Centre or the ‘Never Too Old’ Charity Shop in the Cois Chláir Shopping Complex, behind The Arches Hotel, Claregalway, as well as local stores and businesses in the Claregalway area. There is free entry to the 5K for all participants with a minimum of €10 on sponsorship card. Race number pickup (and late registration) at the new Coláiste Bhaile Chláir (Claregalway Secondary School) building (use the new entrance near the Claregalway Community Centre) between 5.30pm and 6.45pm. Start and finish is near the Claregalway Community Centre which is located 150 metres outside Claregalway on the N18 Limerick/Dublin road. Refreshments will be served afterwards in Coláiste Bhaile Chláir.